SPRING LAKE, NJ--(Marketwired - Dec 16, 2015) - Dr. Peter Ciampi, a cosmetic dentist in New Jersey and the head of Spring Lake Dental Care, is announcing the silver anniversary of his practice. Offering a comprehensive range of general, cosmetic, and restorative dental treatment options, Spring Lake Dental Care opened in 1990 and has been serving the residents of Spring Lake and greater Monmouth County ever since. Dr. Ciampi says, from the beginning, he has established a philosophy of care that focuses on treating patients as though they were part of his own family. He says the idea has always been to provide customized care to each patient in a calm, comfortable, and safe environment. Dr. Ciampi notes that Spring Lake Dental Care has never been afraid to evolve over the years, which has ultimately benefited patients in numerous ways. He says the practice continues to invest in the some of the latest dental technologies to maximize the comfort, efficiency, and effectiveness of treatment. State-of-the-art diagnostic technology such as digital x-rays, laser dentistry and non-invasive cavity detection systems, as well as intraoral cameras are now routine at the practice. Dr. Ciampi says new sedation dentistry options give patients with higher levels of anxiety the chance to experience a more relaxed, stress-free treatment, while stronger dental materials and advanced treatment techniques help the practice in its commitment to provide patients with the best possible care and results that keep their smiles healthy and beautiful. As part of Dr. Ciampi's mission to establish a safe and comfortable environment for patients, over the years he has maintained his view that dentists should always pursue continued education and learn the latest techniques in dental care. In fact, Dr. Ciampi recently completed over 1,100 hours of additional dental education, which earned him Mastership status in the Academy of General Dentistry. Dr. Ciampi says, in the 25 years that his practice has been renewing smiles in the Spring Lake community, his philosophy of care has never wavered, and it is shared by his fellow dentists and associates at Spring Lake Dental Care. He hopes that by continuing to offer personalized care, state-of-the-art-techniques, a friendly and compassionate attitude, and an experience focused on safety and comfort, the practice will be able to help patients maintain the health and appearance of their smiles for many years to come. Dr. Peter Ciampi has attained Mastership status with the Academy of General Dentistry and Fellowship level in the International Congress of Oral Implantologists. He is a member of the American Academy of Cosmetic Dentistry, the American Dental Association, the New Jersey Dental Association, and other organizations. Dr. Ciampi attended the University of Maryland School of Dentistry and completed his general practice residency at the Naval Hospital in Bethesda. He later served with the United States Navy Dental Corps and pursued postgraduate education in cosmetic dentistry at the University of California-Los Angeles Center for Esthetic Dentistry. 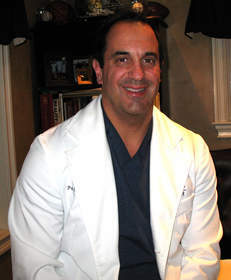 Dr. Ciampi has been recognized multiple times as a Top Dentist in New Jersey Monthly magazine. He is available for interview upon request.